In response to US Secretary of State's hostile allegations, Iran's Foreign Ministry Spokesman said the United States has failed to achieve its evil and disastrous goals in the region, and has resorted to threatening other countries. Iran Press/Middle East: Iran's foreign ministry spokesman, Bahram Ghassemi said on Sunday that US Secretary of State's provocative, meddling and undiplomatic statements in Beirut against Iran and Hezbollah, once again reveals the authoritarian and bullying nature of US approach in relation to independent and freedom-seeking nations of the world. Firouznia: "Tehran-Beirut relations deep-rooted and stronger than ever"
According to an Iran Press report, Ghassemi added: "This kind of stance and statements, on the one hand arose from failed US evil schemes, and destructive and greedy policies in the Middle East and on the other hand, demonstrates the disappointment and anger of US rulers who don't like to see popular unity and solidarity in Lebanon and peace and stability in that country after the formation of a new government." Referring to a long-established policy of the United States to intimidate regional countries, Bahram Ghassemi said: "Failing to achieve their nefarious goals in the region, the US attempts to ruin relations between other countries and makes baseless allegations and accusations against others." 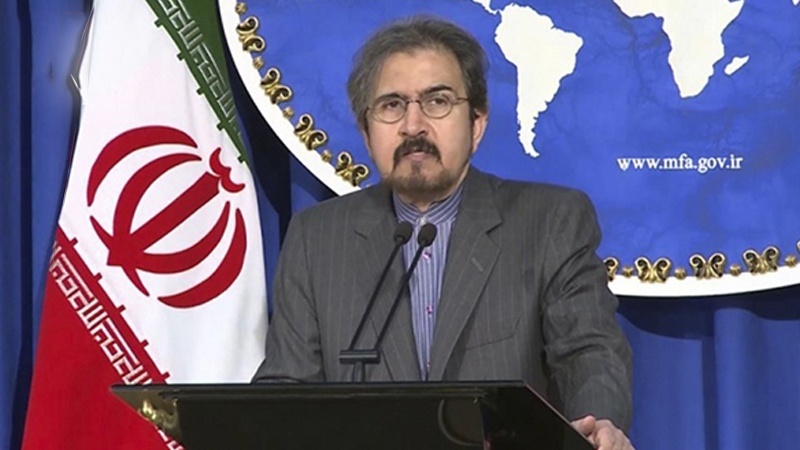 The foreign ministry spokesman added: "Due to the importance of preserving stability and peace in the region, Iran calls for strengthening of convergence and cooperation amongst regional countries to counter expansionism and aggression of the Israeli regime and fighting terrorist groups, and beside respecting nation and government of Lebanon, we use all of our capacities to improve and expand mutual relations between Tehran and Beirut." "Iranians totally understand the roots and causes of US anger from proud role and function of resistance, Hezbollah and all who thwarted colonist US plots and plans in the region." In his recent visit to Lebanon, US Secretary of State, Mike Pompeo, claimed in a meddling and hostile remark that the Hezbollah resistance movement is a terrorist organization and asked the Lebanese government to distance itself from Iran and Hezbollah.